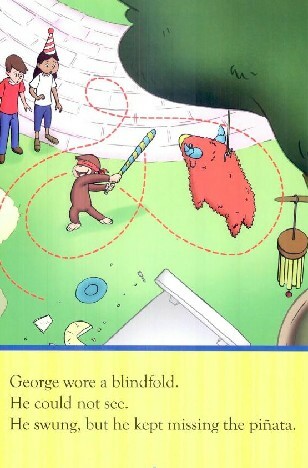 At a birthday party, Curious George discovers how hard it is to hit a pinata without being able to see. 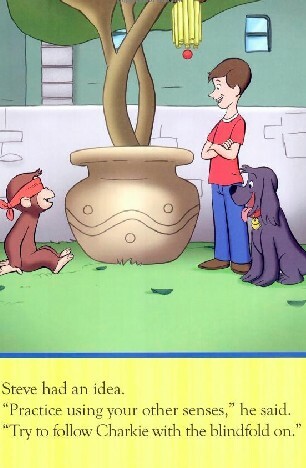 He sets out on a trek around the city with the help of Charkie, the dog, to explore using his other senses. 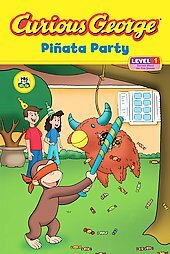 When he returns to the party, George applies his heightened senses to make a direct hit at the pinata! Activities include fun suggestions for exploring your senses and a five senses quiz. Cute little beginner book. 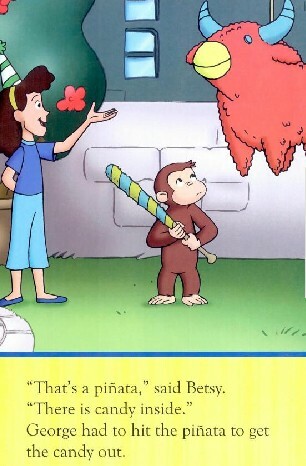 My son is special needs and absolutely loves Curious George. 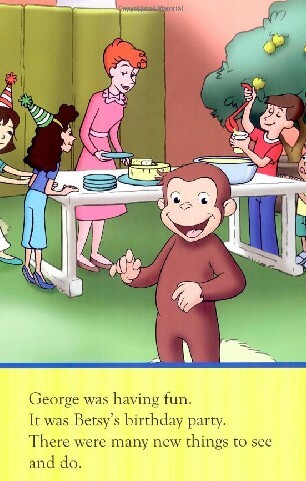 Every night he gets to pick which book I read to him and it is always a Curious George book. 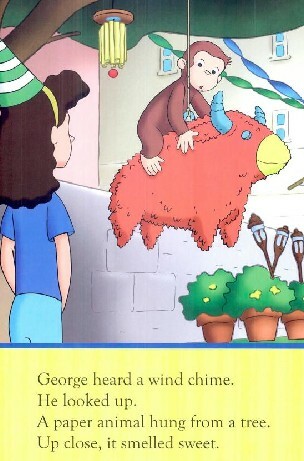 He interacts with whatever george is doing on the pages (which are wonderfully illustrated) and the story is simple to read and understand.